Three different locations around Las Vegas can be explored in a whole new way thanks to Sun Buggy Fun Rental. This innovative company serves the Las Vegas community and its visitors by offering a safe yet exhilarating way to explore Lake Mead, the Grand Canyon, and the sand dunes of Nevada. 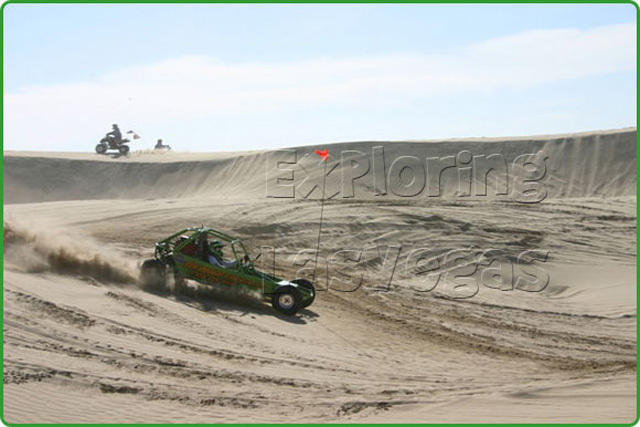 You will be so close to the strip, your trip will explore the dunes just 15 miles away! Sun Buggy Fun Rental provides the safest, dune buggies and ATVs in the area. The off-road vehicles you will use all have a steering wheel, break pedal, and gas pedal. This allows newcomers to experience driving in the same manner they would their car. 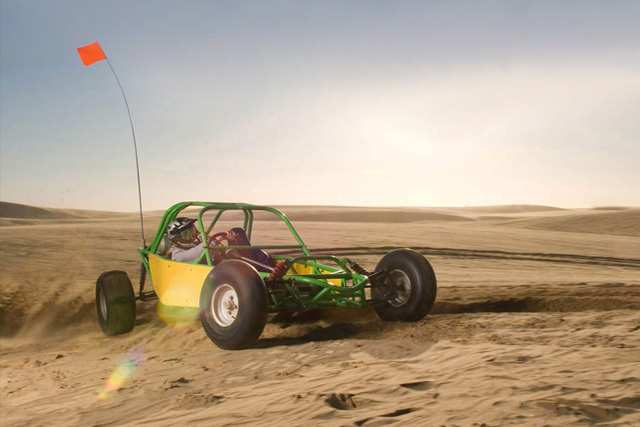 You can choose from riding in the traditional dune buggy or a 400CC ATV. There are one-seater options for those who prefer to ride solo. However, if you are new to using dune buggies, ATVs , or other off-road vehicles you may want to test out the two and four seaters instead. The buggy you use also has roll cages, just in case the inevitable happens. However, typically, rolling only occurs when drivers are being irresponsible. There are also seatbelts and helmets available, which you must wear for your safety. When you choose to use a dune buggy or ATV, you choose to take responsibility as you control a vehicle that can cause injury if you operate it incorrectly. However, the equipment provided is quite easy to operate with a minimal amount of practice. There are 6 different type of dune buggies. The "Marauder," the "Sand Prowler" and the "Sand Rail". you can reserve the buggie one, two, three, four, or five seater of your choice. I've been on tour with these guys and what these vehicles can go through will blow your mind!!! Way more intense than riding a 4 wheeler ATV, this is a real deal desert racer that'll tackle more than just sand dunes. The Trails were my favorite part of the chase.